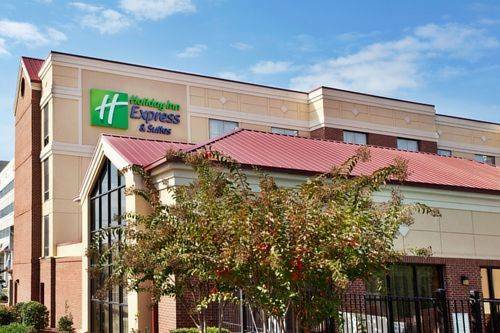 Indulge in comfort at the Holiday Inn Express Columbia - Downtown.Located off I-126 and Huger St, Columbia, SC, hotels have never been more practical with such easy access to major attractions. Situated only one mile from the University of South Carolina, the historic Vista district and the Columbia Riverfront Park, our Holiday Inn Express Columbia - Downtown hotel can guarantee we'll provide you with convenience like none other.You can take a stroll and enjoy a picnic at Finley Park, plan a trip to Riverbanks Zoo, or take the short three-mile commute to the South Carolina State Fairgrounds. With endless opportunities for enjoyment, our Columbia, SC hotel is situated near a variety of leisure activities that will please every guest. After shopping on Harbison Boulevard at Columbiana Mall or boating on Lake Murray, tour the South Carolina State Museum and discover the area's unique history.Located only a mile from the Columbia Metropolitan Convention Center and Capitol Courthouse, our Holiday Inn Express Columbia - Downtown hotel is pleased to offer a handy site for business travelers. A 24-hour fitness center, 24-hour business center, free parking, and a complimentary Express Start breakfast are provided.Next time you are looking for a Columbia, SC hotel, remember that we consistently provide our guests with a quality stay and take great pride in making you feel at home. Call today to make a reservation! Columbiana MallMall located on Harbison Blvd, off I-26. City Art GalleryLocal art Gallery, and great location for local shopping. Ed Venture Children's MuseumFor every child who visits EdVenture, seeing will be believing and doing will mean remembering. All exhibits at EdVenture are hands-on and experiential. Museum of ArtThe Columbia Museum of Art is located at the corner of Main and Hampton Street in the heart of downtown Columbia, South Carolina, blocks from the State Capitol building and the historic University of South Carolina campus. The VistaShopping and restaurant district near the Congaree River, featuring over 45 restaurants, art galleries, entertainment and services, and events for the whole family.